Published on Nov 27, 2012 at 1:05 pm in General Blogs. 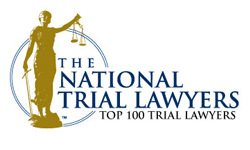 One of the threshold requirements for filing a medical malpractice lawsuit is that a “Certificate of Qualified Expert” must be filed with Maryland Health Care Alternative Dispute Resolution Office (HCADRO), an administrative agency that promotes arbitration of medical claims. The certificate must state that the injury was caused by a departure from the standard of care and that this departure caused the alleged injury. The certificate must be filed within 90 days after the filing of the complaint. Maryland’s federal trial court and the state’s Court of Special Appeals recently issued two rulings dealing with different questions on certificates. In Caitlin Smith v. William E. Palin, Jr., M.D., the United States District Court for the District of Maryland ruled that several extensions of time for filing the certificate were not abusive. Smith filed the lawsuit, alleging that Dr. Palin negligently performed breast surgery needed to treat a medical condition known as “tubular breast deformity.” Smith said she was forced to undergo further surgery to correct surgical complications and to replace the implants. Smith’s attorneys requested – because they had not yet received all the studies from her treating physicians — and received several extensions of time in which to file the expert certificate. The doctor moved to dismiss the lawsuit on the ground that the HCADRO Director abused his discretion in granting the second, third, and fourth extensions of time, arguing that the reason they advanced did not constitute “good cause.” The United States District Court for the District of Maryland disagreed, holding that HCADRO’s director had not abused his discretion in granting the three extensions. The court said the director’s decision was within the range of his discretion. The court also chastised the defendant’s attorneys for taking the matter into court, telling them that the proper place to challenge the extensions was before the HCADRO. The case was released Sep. 11, 2012. In Hinebaugh v. The Garrett County Memorial Hospital, et al., the Court of Special Appeals dismissed a medical malpractice lawsuit because the certificate did not satisfy the requirements of the Maryland Health Care Malpractice Claims Act. Bryan Hinebaugh brought suit against Dr. P. Daniel Miller, D.O., Allegany Imaging, P.C., H. Stan Lambert, M.D., James K. Benjamin, M.D. and Garrett County Memorial Hospital in the Circuit Court for Garrett County. Dr. Miller is board-certified in family medicine and Drs. Lambert and Benjamin are board-certified in radiology. Hinebaugh was struck in the face in August 2006 while in jail, causing injuries to his left cheek and jaw. He was evaluated and given simple X-rays. No abnormalities of Hinebaugh’s facial bones were seen, according to the doctors’ review. However, several weeks later, experiencing increasing pain and numbness, Hinebaugh went to the emergency room where further X-rays showed a fracture and displacement of the jaw bone. Hinebaugh filed a medical negligence claim in August 2009 with HCADRO. He also filed a medical malpractice lawsuit with the circuit court in July 2010. Hinebaugh filed a certificate of qualified expert report by John Mitcherling, D.D.S. Mitcherling is board-certified in Oral and Maxillofacial Surgeon (OMS). His entire dental career has been devoted to the practice of OMS, a highly specialized form of dental surgery, the court observed. The defendants asked the court to strike Dr. Mitcherling’s certificate and to dismiss the complaint for failure to file a certificate that satisfied the requirements of state law. The trial court agreed and threw the case out of court. When the case came before Maryland’s intermediate appellate court, it affirmed the trial court’s decision. One of the requirements for a valid certificate is that the health care provider who signs the certificate must be board-certified in the “same or a related specialty” as the defendant if the defendant is board-certified. The defendants argued that Mitcherling did not meet the “same or related specialty” requirement. In response, Hinebaugh argued that Dr. Mitcherling was board-certified in a related specialty; and if not, Mitcherling was qualified to sign the certificate under exceptions found in state law. The appeals court then turned its attention to the two exceptions found in state law. The first exception occurs when the defendant health care provider “was providing care or treatment to the plaintiff unrelated to the area in which the defendant is board certified.” Hinebaugh argued that Dr. Miller did not treat him in the area of family medicine, in which he is board-certified, but in the area of emergency medicine; and, therefore, this exception applies. “We disagree,” the court responded, explaining that regardless of where Hinebaugh was treated – hospital, office or jail – the treatment Miller gave Hinebaugh was not outside the realm of “first contact care” family medicine. The second exception occurs when the certifying or testifying health care provider “taught medicine in the defendant’s specialty or a related field of health care.” There was nothing in Mitcherling’s affidavit or any other document in the record that showed that Mitcherling ever taught medicine in the specialty of family medicine or radiology, the appeals court said. As a result, the state’s intermediate appellate court ruled that neither exception applied and upheld the trial court’s decision to dismiss the lawsuit. The case was released Aug. 31, 2012. Belsky, Weinberg & Horowitz has been fighting for the victims of negligence for many years. Call us at 410-234-0100 or email us for a free consultation and let us help you.